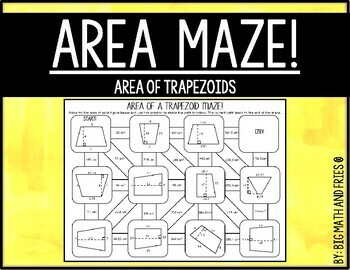 Students will practice finding the area of trapezoids with this maze. 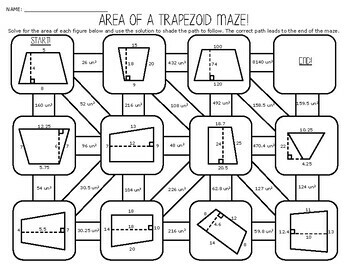 The solution to each area problem will help the student navigate through the maze. Decimal values are included. Also, many slant heights were used. Students will need to understand the perpendicular base and height relationship in order to successfully complete this maze without falling into the slant height trap!